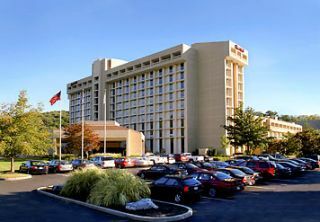 Tech & Learning's Tech Forum New York will take place at the Westchester Marriott Tarrytown in Tarrytown, NY on Friday, October 24, 2014. We have arranged for preferred hotel rates for Tech Forum attendees. When making reservations, be sure to mention that you are attending Tech Forum New York for correct group block booking and a special room rate of $149.00 (single or double occupancy), plus applicable tax per night. Deadline: October 10, 2014. Under Check Rates & Availability enter check-in/check-out dates and be sure to click to expand the section entitled Special Rates & Awards. Under Group Code, enter TFNTFNA and click Check Availability. Note: the Tech Forum New York discounted rate is available online only by entering the group code under Special Rates & Awards. Once the Tech Forum New York group page appears, simply follow the prompts to finalize your discounted online room reservation.